W.i.i.L. is the shortcut for "Wilkommen im inneren Lichterland". 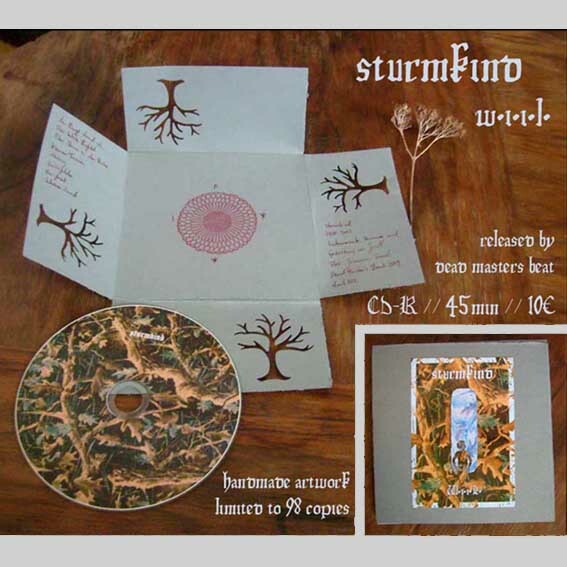 CD-R in fantastic handmade gatefold cover. This version is limited to 98 copies. Re-release of the fifth album appeared in 2003. Originally published in a portfolio in an edition of 42 copies. In contrast to the previous work with BNV this album is calmer and more guitar-heavy. In comparing like with "Die Erinnerung wird lebendig begraben". Almost hypnotic Dark Folk / Neofolk.